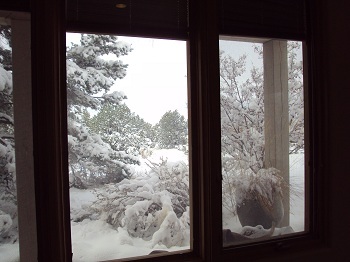 Opening the blinds of the hotel room in Flagstaff, AZ revealed a beautifully sunny but cold morning for the drive to Santa Fe. After packing the overnight stuff back in the car I checked the engine fluids…oil was OK, coolant need topping up, which was duly done. One quick return to the room, wash hands and return to the car…..to find something leaking from the engine…had to be the coolant. First stop of the day was the auto parts store for something to seal the leak. That done with the help of a salesman, a prayer of “oh please keep us both safe and in working order” and we headed for Hwy 40 to Albuquerque and then Hwy 25 to Santa Fe. 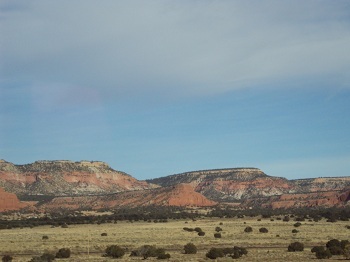 As the miles unfolded the scenery changed from forest covered mountains to bare hills, desert flatlands and then New Mexico’s moon-like landscape. For anyone who has traveled the highways and byways of this country in any direction can’t help but notice that far too many towns and cities have lost their personality or signature….driving through main streets, neighborhoods, shopping areas, business centers they all start to look the same…..the same or similar planning, stores, name brands, big boxes, restaurants…..some “old downtowns”, especially those relying on the status of tourist or art destination are small, quaint, individual but not that many. After miles of roads, farmlands, prairies, grain elevators and tiny, almost forgotten towns in the middle of CO, KS, NE, UT, NV, they all look the same which I find to be quite sad for travelers and residents alik e.
On my first visit to Santa Fe I arrived from the East in late 2006, from Washington D.C. area. 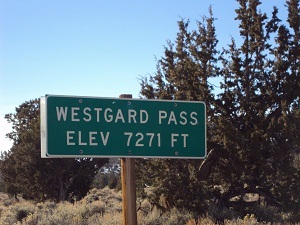 This time arrival was from the West. The first visit of living and working there lasted about 14 months; this one would be four nights or so. 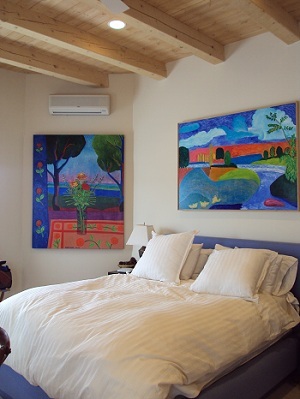 Northern New Mexico around Santa Fe and Taos are gems of beauty and interest. 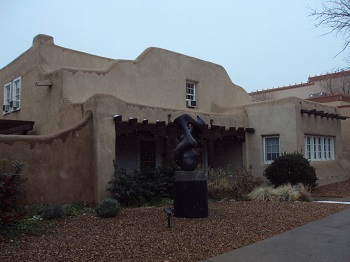 I love the mix of Native American, Adobe and Spanish architecture, culture and food. It is in everything and you know you are in another world experience. This area is old. 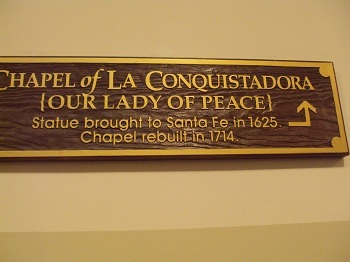 The Taos Pueblo is the oldest continu ally inhabited community in the country, possibly a thousand years or more; first Spanish missions date back to around 1613, and then White/European settlers came after that. History has dictated these three cultures to be at odds with each other and there are still separations unfortunately. Invasion, retaliation, genocide, conversion, intolerance, tolerance, acceptance, and honoring have played and shaped the people, art, food, dress and tourist economy. My visit was to reconnect and spend time with friends, to meet others I had heard of through mutual friends and finally put faces and voices together, share stories and learn, visits to several very special galleries, meet artist and art in presence, experience my more expanded Self in a former familiar setting, and be grateful and blessed by all. 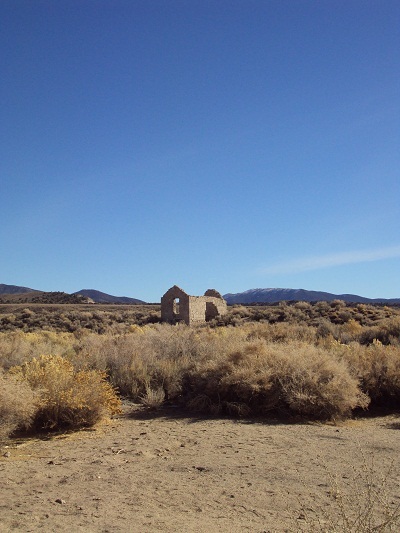 This land is the high desert. 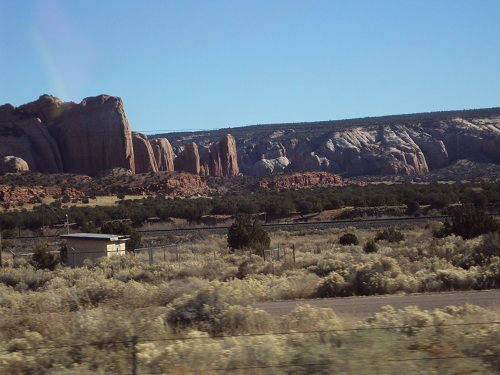 It is dry, rocky, eerie at times, UFO visited mesas, burial grounds of ancient wanders and warriors. Hot in summer, cold winters. And this land is and has been corrupted by the worst that science can dream up and test. 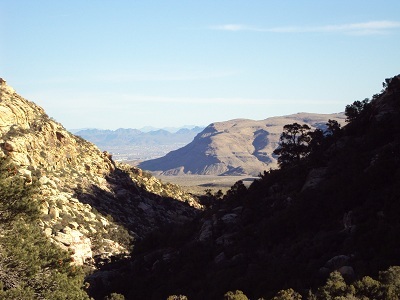 In the hidden labs and dugout mountain range of Los Alomos, only 25+ miles from Santa Fe, science boasts of imagining, building a nd dropping the Atom Bomb, of secret (to this day) genetic cloning research, of alien exploration and even possibly creation, of barbaric mind control and manipulations (like the Philadelphia Experience) and the development of germ warfare for eventual population control. In Southern New Mexico underground testing of warheads and nuclear bombs have been commonplace, as well as the dumping of such waste! And as these words formed within, an energetic picture was revealed. Clear waters flowing deep under the burnt ground of the arroyo, pushing up and out through tiny cracks. It was not just about where I was standing. This was a message about US as Humanity. You see, the Element of Water is associated with Consciousness and Emotions…the very beginning fabric of life and manifestation. When We, individually and collectively change and grow life all around us does the same. This message was received in 2007. 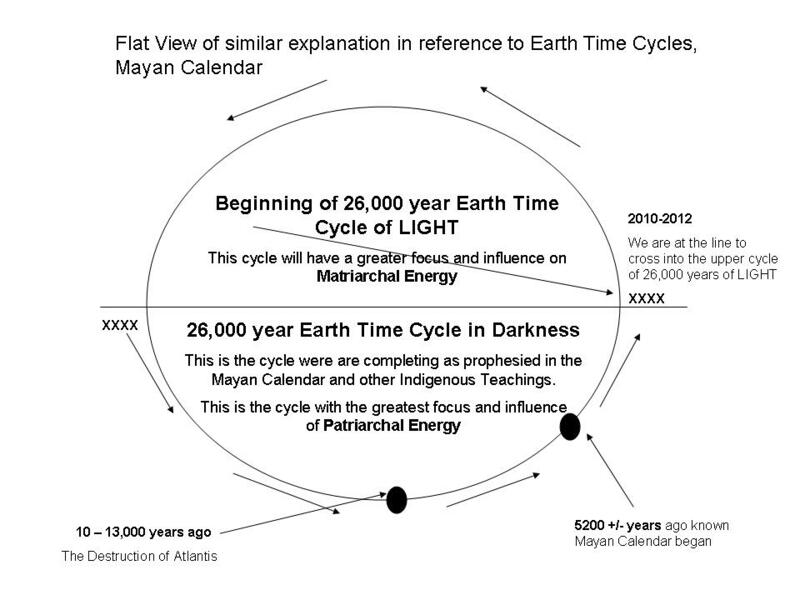 Now as 2011 waits for the door to open, to reveal in time just how far our Consciousness and Awakening have come! The road trip out of Santa Fe to Kansas City started in anticipation of another snow storm….stuck on a remote highway in swirling snow storms, fridge temperatures and endless miles ahead is not something I wanted to test and so this timing departure blessed me with beautiful clear blue skies, high 40s and smooth sailing for the 750+ miles across the central plains. Pretty much I was following the routes known as Hwy 66 (and as the old song goes “getting your kicks on Hwy 66”….and the pioneering Santa Fe Trail ending in Boonville, Missouri. 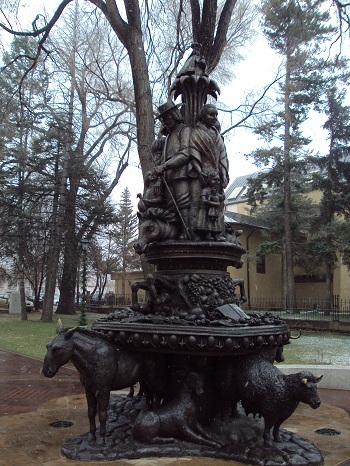 A mid point on this route is the real Dodge City, KS, the cowboy whistlestop so many of us remember from the early days of television and kids westerns like Hopalong Cassidy, Wyatt Earp and Gunsmoke. 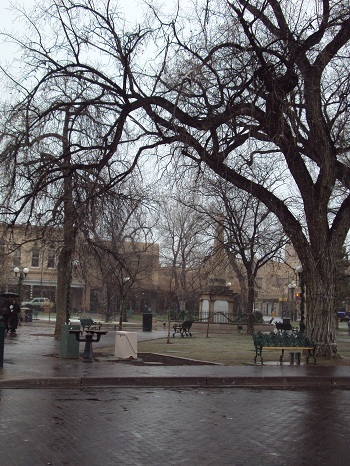 Th ere is a small area on the east end of Dodge City with familiar facades of the original saloon, general store, bank, church, and the jail, along with souvenir shops, art and clothes. Eventually the endless miles did end at the home of my son Jerame and his fiancé, Kate. Since arriving the days have been filled with celebrations of Christmas, Birthdays, coming New Year and doing energy and sound healing sessions with the families, of retracing, shifting and dissolving threads of past lineage and experience memories to clear the way for entry into our new times. More below……. A month ago today I was standing on the cliff edge at Big Sur, CA and received the profound message to retrace the steps of the past and return to Florida from the birth of my grandson. I am at the mid-point so to speak, both in time and in location. Although not the exact geographical center of the country, it is the mid-point “big city” east/west and north/south. One city for two states, Missouri and Kansas! 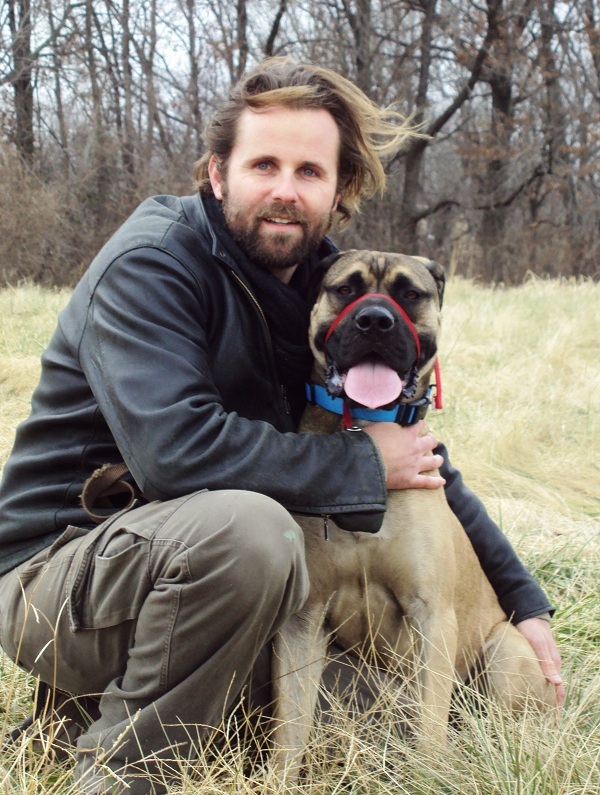 As Jerame has lived here for quite a few years, both before and after graduating UMKC, visits have been normal. I hadn’t paid attention to its significance in repeating pattern until now. My first visit to KC was in 1987 for computer training with TWA. Back then I designed and often led specialty tours to Orient, South Pacific and all of Central America. In 1996 we moved to Marshall, MO (83 miles east of KC). My husband, Tim, took a position as Minister for a congregation in the town. Jerame’s years at UMKC and buying a home continue to draw me back to this midpoint. None of this I ever anticipated, way back when! Coming Full Circle – The clues appearing in people’s lives! During her call she talked about how her life is coming full circle and now realizes the importance of all the previous years of work and contradictions between the real everyday life and the striving to be an enlightened spiritual being desiring, desperately sometimes, to not be here. I am sure many of you can identify with these feelings. “If you look in Webster’s under Stagnant, nothing about you will be in the description…..stagnant is to Settle for exactly the same as always has been…same town, house, job, interests, stuff, patterns…NEVER changing anything……You only Settle for a moment in time and experience that! Lori was right about it all. Her revised views of all the past circling to meet her evolved self, what stagnation is and is not, what is important to her to bring joy, peace, beauty and romance back and it all begins, ends and is realized FROM WITHIN. As with al l my stories and ramblings, they are to perhaps help the reader to review their own lives, why they have been drawn to it, is it relative to something in the NOW in their life! We are preparing for another completely new year, unlike any other in history. I leave you with a profound verse to herald in 2011 and the purest expression of Coming Full Circle as the line is crossed to begin the Paradigm of 26,000 years of LIGHT. For miles and miles I watched the road in front of me unfold towards the rising sun of the east, locked in the vacuum of my car and our private world. Before the journey began I had intentions of recording stories and thoughts in all the alone time I would have. I purchased a recorder for that exact purpose and I do have to say it was used, but no where near as much as I thought. The other company with me on the journey was several tapes of the “morning sadhana chants” I had participated in earlier in the year in Mt Shasta. Starting on December 21 (a year ago today) a small group of us gathered at the Flying Lotus just before 4AM to share in kundalini yoga and the “short Ek Ong Kar” chant – there was nothing short about it…..a full 2 1/2 hours to completion each day for 21 consecutive days As I have mentioned before, this was an amazing experience! Well this, along with other chants was my company. And then there were the hours of silence each day. Are you afraid of silence! I know people who are. There always has to be noise of some sort….radio, TV, kids, talking…..all distracting from what the silence within is requesting. Jessica reminded me of this one day during felting….I was trying to decide on a design and nothing was coming. “Sit quietly and do Breathe of Fire for a few minutes”. I sat by the fire, stilled myself and began the breathe and sure enough, after a few minutes I was still inside, my head was clearer and as I look ed at the project in front of me an image revealed itself….the answer came in the stillness of the breathe! And in stillness and silence comes fear! The drive from Mt Shasta to Bishop was 8 ½ hours. 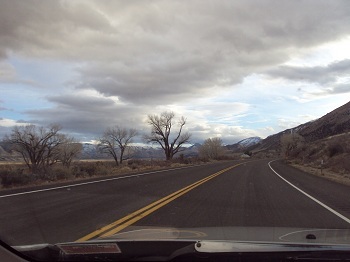 The next day leaving Bishop, CA on Hwy 395, the road to Hwy 95 and Las Vegas opened that door, the door of fear! 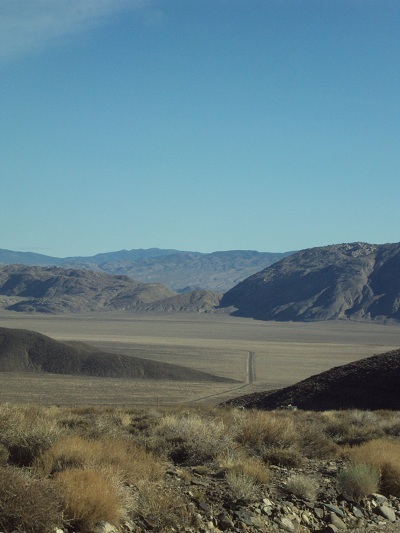 Hwy 168, an 89 mile cut across CA and NV, across a mix of mountains and flat expansiv e plateaus and no one else. In the early morning there was on one on this road….there was nothing else on this road for miles and miles….I didn’t even see any wildlife. At the beginning of every day’s drive I would say a blessing and request safety and protection for myself, my little girl (car) and all those around me. As the miles unfolded on this road a sense of vulnerability enveloped everything and in the silence my fears raised. Immediately the music was turned on and up high. I sang along to avoid myself. Why was I in fear? The thoughts were “I’m alone, no one knows where I am, and will my car be OK!” And then it hit me. In the incredible expansiveness of this land, of its stark beauty perceivably devoid of life……I was completely INSIGNIFICANT! As a grain of sand on a massive beach….if taken away nothing would change, no one would miss “just one grain of sand, one little speck on the expansive landscape! Is this what all our fears are about, no matter what they are…..of being insignificant…..is this why silence is so scary…….because in silence we do not contribute anything…..except the abundance of our consciousness! Wha t is in our consciousness? Only the totality of our soul’s existence….only everything one has ever done, thought, felt, heard, lived….only all memory of one’s universe….only all memory of the universe itself…..only the memory that each one of humanity has and is a fractal of the ONE UNIVERSE and related to each other…..only that one is SIGNIFICANT in our small fraction of life……and this is only revealed when the light of love is turned on! For those not familiar with fractals…Unlike fragments which are pieces of the puzzle, each one different, yet when placed correctly form a complete pi cture. A fractal is the complete picture, multiplied and replicated over and over again. And to go a little further, it could be said that each person and their soul’s existence are a combination of fragments and fractals…….this is for a greater discussion on another road! At the sight of the first car coming towards me the aloneness dissipated. The 89 miles, a mix of narrow winding roads and straight expansive stretches took 2 ½ hours and the sight of Hwy 95 was a relief. And Hwy 95 is not a highway one you would want to travel at night…it takes you through more desolate, stark landscape…..a long, straight road without services for miles and miles and miles and miles but during the day there is traffic! Hwy 95 through Nevada to Las Vegas goes through the infamous Area 51 – UFO Country – and I can believe it! 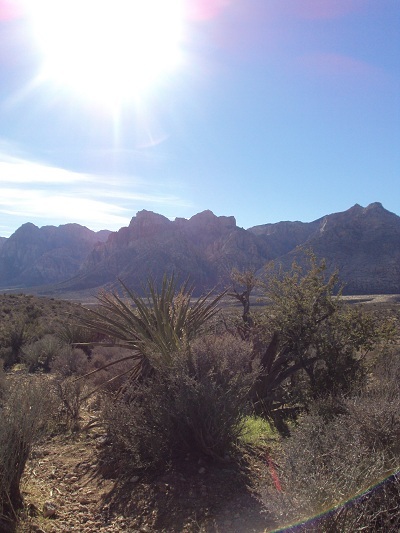 In the last posti ng I took you to Las Vegas and my visit with Sheila Z. I only touched on the sights I came across in Red Rock Canyon and “on the strip”. So often we get lost in the our world not seeing much of what else is around, in other words the world portrayed by commercialism, government, media, fear and control. For several hours I watched so many of the thousands of people walking the strip or sitting behind the slots in incredibly glamorous hotels and casino, appearing to be “devoid of life and soul”…only shells of their potential, not as God’s creation but of man’s de-evolution. Hypnotized by the lights, colors, activity, constant noise, play of machines and the internal plea “to hit it big and solve all of life’s problems” kept some of these people coming back. Of course, many oame to Vegas for the entertainment, glamour and excitement without being caught in it, yet far too many were and are not so fortunate. And this goes for the other addictions that take over one’s life! At our lowest ebbs in life, when life has or is not going well due to conflict, pain, illness, violence, anything or anyone else, when one allows to submit to their control…life is lost. From Vegas I headed to Kingman and then to Flagstaff, AZ. This would be only a four hour stretch so I thought I would go a couple of hours beyond Flagstaff before stopping. Years ago it was no trouble for me to drive 10-12 hours at a time, and had done so many, many times. But now 8 hours seemed to be my limit! About an hour out of Flagstaff, my friend Leela called to say hello and chat. And so timely it was! Leela has traveled this road many times and when I told her of my plans she advised me to stay in Flagstaff as the road from there to Albuquerque had only a scattering of stops and hotels. I took her advice! Some of you may even have heard of Leela Hutchinson. Leela, a gemologist was the first woman to enter and photograph the amazing Crystal Selenite Caves in Southern New Mexico. The Discovery Channel has aired several programs on this incredible place! 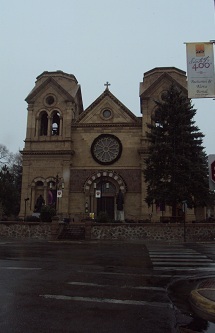 Flagstaff, AZ has a small, quaint and artistic downtown. Lots of restaurants and specialty boutiques. 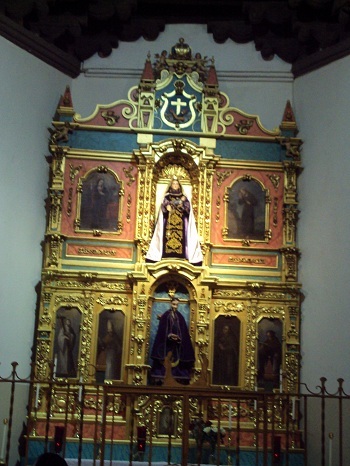 While walking I was drawn into Sacred Rites….Therapy Instruments and Monochords. Tibetan prayer flags fluttered in the breeze and ornaments of Buddha, Kwan Yin and other beautiful pieces adorned the window. Inside there were drums, flutes, gongs and other instruments of all sizes and shapes. Kelly, the owner greeted me. He was playing a monochord and had several on the counter. The beautiful soothing sound of this little instrument was relaxing, especially after so many days on the road. A monochord is a 12 string instrument, like a flat dulcimer. It is turned to one note, for instance a C, A, D, etc. Each string is tuned to a different tone of that same note. When played or really, strummed, the gentle resonance of the particular note is experienced. The monochords on display he had commissioned to be made by a local craftsman. The larger lounge chair style I experienced had come from Germany. One side was designed to sound with a padded mallet and on the other side were strings, not unlike a harp. Kelly sat on the floor to the side. I lay on the chair. The sounds from this monochord gentle reverberated though the wood into the body…very subtly at first and slowly strengthening, combined with his soft toning voice….the sounds of healing wafted in the air. To learn more you can search Monochords on the Internet. 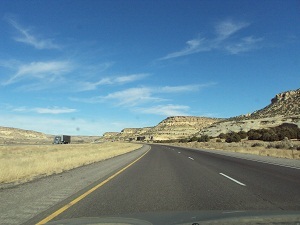 After a good nights sleep I headed further east on Hwy 40 to Albuquerque and the HWY 25 To Santa Fe. This would take me 7 ½ hours! 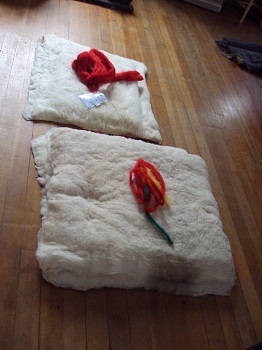 While the experience of felting with Jessica is still fresh I would like to share the experience with you. It was a amazing, intense, physical, emotional and rewarding week. As I shared earlier wool felting is an ancient natural art dating back to 2nd century BC in Sumeria, moving into India, the Middle East, Asia, and Indigenous cultures around the world. Felting wool of sheep, lamas and alpaca into beautiful, durable, practical and exotic items to wear and use everyday. 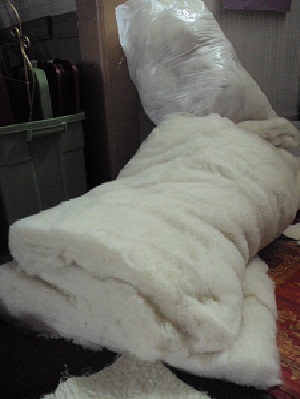 The wool arrives in large rolls of 80″ or 84″ wide. Soft, light and warm. 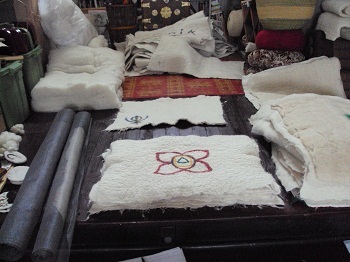 Starting with raw cleaned wool, it is cut to the appropriate size for the idea to be made. As shrinkage of the final piece needs to be considered, the beginning piece is about 35% larger to start. 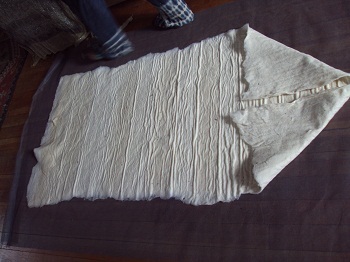 After cutting the wool it is rolled and tied ready for stomping, the main and most demanding step to felting. 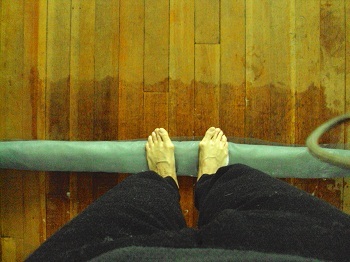 Working with bare feet in the bathtub, soapy hot water is poured over the roll and “the stomp” begins. 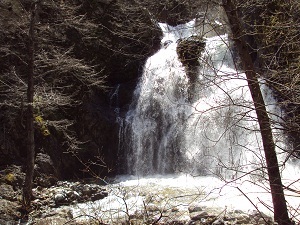 As the hot soapy water penetrates the fibres of the wool, a natural bonding takes place. Stomp and roll, stomp and roll continues until the roll is soaked. 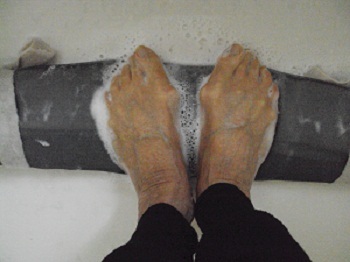 To set the design more hot soapy water and stomping, stomping…..unroll, straighten, re-roll and begin again…..15, 30, 45 minutes…however long it takes to feel just right beneath the feet! Unroll and allow to dry before a trip to the laundromat to wash, dry and shrink to the perfect size. This is a very short and concise version of a process that takes 4-6 hours of work steps to produce a sacred yoga seat like the ones below. Obviously, larger pieces, longer and longer time. Next the continuing journey…….I have been on the road since Friday when I left Mt Shasta for the long road trip EAST……to eventually arrive in St Petersburg, Florida in February for the birth of my grandson. 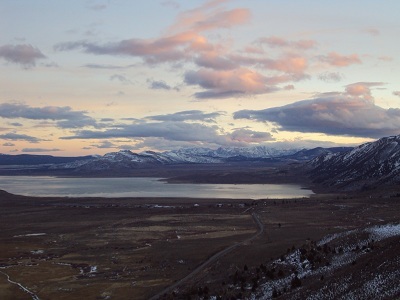 Eight hours on the road for an overnight in Bishop, Co.on Hwy 395. 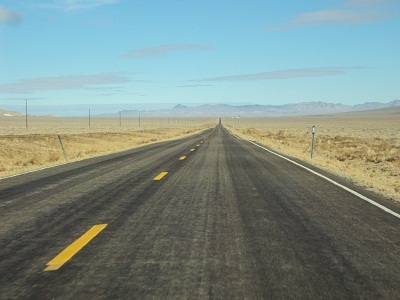 Next morning another long day through lonely stark landscapes of CA and Nevada, being the only car on the road for miles…this brought up many emotions for processing…..arriving in Las Vegas to stay with Sheila Z, a friend I met in Santa Fe 3 years ago. 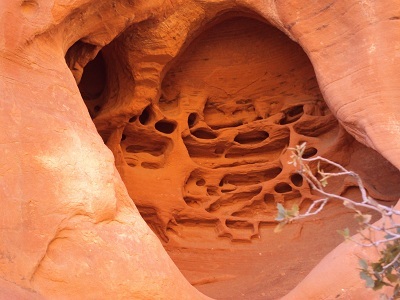 Yesterday I spent hiking trail in Red Rocks Canyon, west of the city and then in the late afternoon and early evening I spent “on the strip”…..amongst the throngs of people seeking…….what you can’t find outside…….more to follow on this! And when I disconnect from here the road will take me towards Santa Fe for a visit of three to four days……stay turned……this journey is about retracing and unraveling more than expected…..it is for all of us in these times ……….until! In my last posting I left you all hanging as to what is going on and where I may end up. So much may change between now and then so to save confusion if I don’t want to elaborate too much now. I posted this in a hurry last night and of course it wasn’t finished or corrected….hence the update. 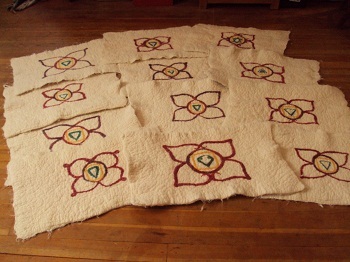 For the past four days I have been helping Jessica make sacred felt yoga mats for a wonderful order she received – 23 pieces in all. 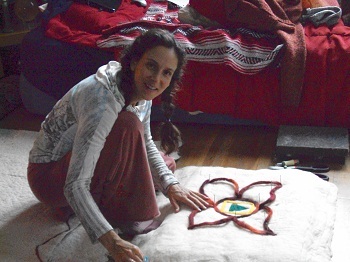 Several months ago I helped her for a day and enjoyed the felting experience. When her invitation came for assistance it all seemed to be in alignment with the movement showing up so I told her I would be there!. It also was evident my return to the Mt Shasta area was necessary to align with some karmic relationship journeys I have had playing out since arriving in this very powerful vortex a year ago. I had planned to walk you through this ancient art form but as I write this at the end of Day 4 both Jessica and I are pretty much “fried” after completing half the order which I have discovered is no small accomplishment. I will give you a very brief rundown now and in a few days when the rest of the order is complete and sent I will share the rest and photo if the process, it is fascinating and I think many will be interested. Because I have been so busy I felt guided to share a story with you on a topic of great interest…Near Death Experiences. Then today while taking a break I met up with Ashalyn and fellow Shaman, Juvy. During our time together I heard his latest poem of his recent dying and coming back to life experience. It is a beautiful poem and I was moved to tears. 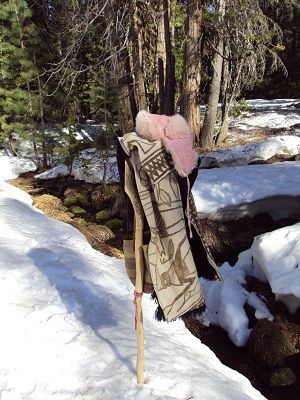 My surprise was the complete synchronicity of our meeting, the subject matter and the fact I used a special photo taken last winter in the story below ( Juvy’s staff, cape and hat standing in the snow) Because of this I will now include another photo of Juvy himself… he is such a beautiful, powerful and pure man on his Shamanic path. I am grateful for the work we have done together. After reading the following story, has anyone had a similar experience…let us know! I also hope to have more new photos shortly. It was December 27, 2007 and I had been restless for several weeks with indecisive thoughts of what to do next and where to go. Although I had been staying in Asheville I had been led to Waynesville, NC by a friend, and over those past weeks it had shown up several times but I was resisting. Going back to live in a small town was bringing back many challenging memories of my life “serving churches in the South and Mid-West” along side Tim, my now ex-husband and friend. Having planned to run some errands and make a couple of work inquiries yet nothing was panning out, no one was available, even though they were scheduled in their offices. What to do next! “Drive to Waynesville” was an intuitive message coming forth. “OK!” So I drove the 45 minutes west along Hwy 40 on a pretty yet cold morning. In Waynesville I parked by the Court House in a 1-hour spot and walked around historic downtown for a while, getting another feel for the town. “Should I move here!” was the question running through my mind. After a stop for coffee I made my way to the Crystal Dragonfly, a small lovely book and gift store on Main Street, hoping to speak to Ursula, the owner. Susan was there instead. Susan is a gentle, very spiritual and powerful English woman whom I had met briefly only once before. Susan also did shamanic healing work. From the beginning of our conversation we felt a strong connection and understanding with each other. We talked of our journeys, our work and our great desires to find “our home”, both realizing that this place is but a stopping point for an undetermined period of time. Our conversation was stopped with the arrival of a young customer, her friend and her father. They looked around and chatted until the father produced a stone from his pocket and presented it to Susan. “I would like to show you this stone and what it does” he announced. He instructed Susan to place her ear right on the glass counter and listen. He then placed the stone on the glass, touched it lightly and waited. On its own, the stone began to move back and forth slowly at first and then it amazingly moved faster and faster until a high pitched, fast vibration sound could be easily heard and then it stopped. Susan was amazed by what she felt and heard with her ear on the glass counter. I watched from about 6 feet away. I could hear and feel the strong energy emanating from the stone even at that distance. It was powerful and incredible to watch! He shared the story of how it came to him and said he didn’t know what type of stone it was and asked if either of us perhaps knew! We didn’t yet we both agreed it was very unusual, ancient and powerful. We both felt it was a prophesy stone of sorts. Casually the man passed me the stone. Wow! It was strong and I took in its energy yet not really able to explain what I was receiving. (Several days later Susan shared what she observed at that moment. “As you held the stone you became lighter, less visible, as though someone was erasing a picture. In essence, you were disappearing”. I put the stone down on the counter and the conversation continued. Shortly the man’s wife arrived and she entered the conversation. I was drawn to the stone again, picked it up, this time for just for a few moments. My thoughts moved to leaving so I could continue my day yet as I did so, there was a strong pull for me to stay, when unexpectedly another friend arrived. What a surprised! We talked. Susan and the family continued their conversations in the store. My friend left and I returned to the conversation, standing just to the left of the man. This time the man was talking more about his own journey and wanting to understand more about spiritual teachings. Susan and I had both told him we believed the stone was very much a part of his learning something new although we had no idea what that would be. My curiosity was peaked as to his profession. He was very much an analytical thinker and seemed to be struggling with the concept of trusting unknown realities. “I am a scientist” he shared. “Medicine!” was his response, to which Susan and I laughed and now realized this man was being asked to see and learn about energy and vibration healing in ways beyond the traditional allopathic medicine he was practicing. He was in fact a cardiac specialist. As if unaware he turned and gave me the stone once again. I took it for just a moment and returned it to the counter and stepped into the hallway. Feeling thirsty and a little hungry I was thinking about lunch when a wave of unsteadiness came over me. Wow! Strange! It started getting stronger and I needed to sit down. This feeling was different to when my blood sugar would drop, usually due to waiting too long to eat. This was something else! I made it to the table in the hall, sat down and then felt myself melting into the seat. My head was on the table, and then I was on the floor. I hear a voice “Are you alright?” All I was seeing was a huge white light filling the entire hall area. Everything was white and getting more and more luminous. I was melting further and further. A voice says “can I listen to your heart, take your pulse!” It was the doctor/scientist. Then from the lofty ethers I hear “she hardly has any pulse, I can hardly hear her heart, and we need EMS!” It was the doctor again! “I know what is happening, I’m not in my body, I’m alright” replied the voice coming from somewhere in, around or above me. I sensed panic all around me but I was calm. I kept hearing the doctor saying EMS, no pulse, bad heart, urgent! The doctor is still on about EMT who hadn’t yet arrived! He appeared scared! Through the mist of luminous light I could see other people in the hallway standing in a distance. I watched her from above as she did her energy work, she was nervous for she knew I wasn’t there. My physical body was still holding the doctor’s hands and vibrating. 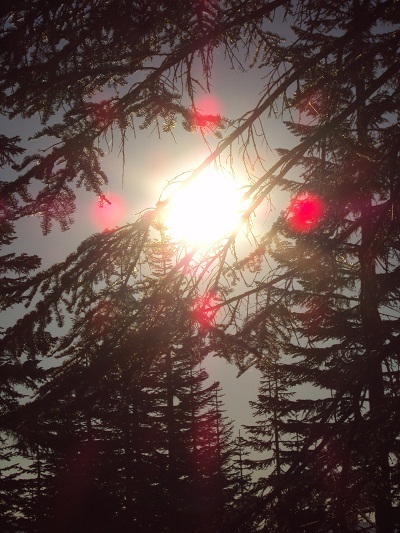 The heat was amazing and the luminous light was still glowing powerfully. Minutes ticked away, I am still insisting from above, “I am alright and I know what is happening, I am not in my body that is why you can’t feel my heart or pulse.” Slowly I start coming back, the light fades, the vibrating subsides and I see people around me, looks of shock and fear are on their faces. They have witnessed something unexplainable. Reluctantly the doctor had to leave (for his own professional reasons) as I was coming back, After a sip of water and being moved to a comfortable chair I was returning to normal. I finally agreed to go to the emergency room, someone would have to drive me there, but no one wanted that responsibility. OK! I still resisted until finally giving in. I knew I was OK but perhaps more in curiosity as to whether tests would reveal anything odd. EMS was called and would you believe five paramedics arrived! “What happened? How do you feel? Any pain?” were the questions asked by the young paramedic tending to me. So I told him that a doctor had brought in a stone into the store, it was very powerful and I held it for a while! Sounds crazy but you had to see and feel the stone to understand! A few hours later after blood work, EKG, blood pressure checks and a several short naps, I was cleared to leave. All was normal at least in that department. Yet from the metaphysical perspective, I had been given a very powerful and profound experience which I knew would truly reveal secrets in the days, weeks, months and years to come. For all intents and purposes, it felt like a high vibration living ascension experience. A month later I started teaching classes on Play Meditations with an octave of the Singing Crystal Bowls. During these sessions I would also do healing work with those present. I noticed a marked increase in my healing power and knowledge being transmitted during those times. This also proved true in the Reiki /High Vibration Energy classes and attunements I conducted. Everyone was tweaked up several more notches then expected, as though being primed for the times ahead. In the years since then there have been many quite to very subtle awareness, knowledge and messages from this experience and I continue to pay attention. As for the doctor, Susan and I agreed that this experience would probably be a life changing one for him (we found out months later that it was.) 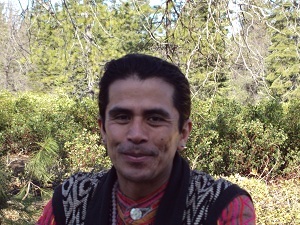 With all his years of medical experience, what he knew was of no use at that moment in time for all was happening and being directed by Soul and the Higher Realms, it was a Shamanic teaching experience. This experience of course made me think about how many people actually have a “shamanic death/rebirth” on the operating table and it is treated with standard procedures. Is this an area that should be addressed in medical training and nursing practices? There is so much more to understand! We are being opened to Fifth Dimension Mysticism in remarkable ways now….just pay attention before setting your intention!